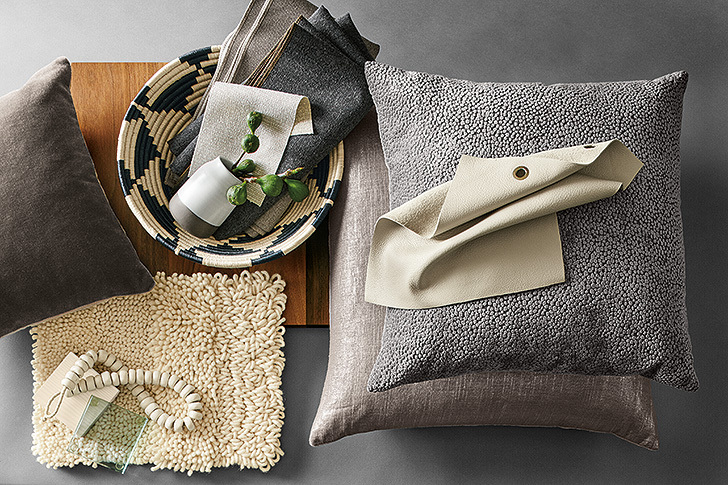 Room & Board offers free design services even when you’re shopping from the comfort of your home. 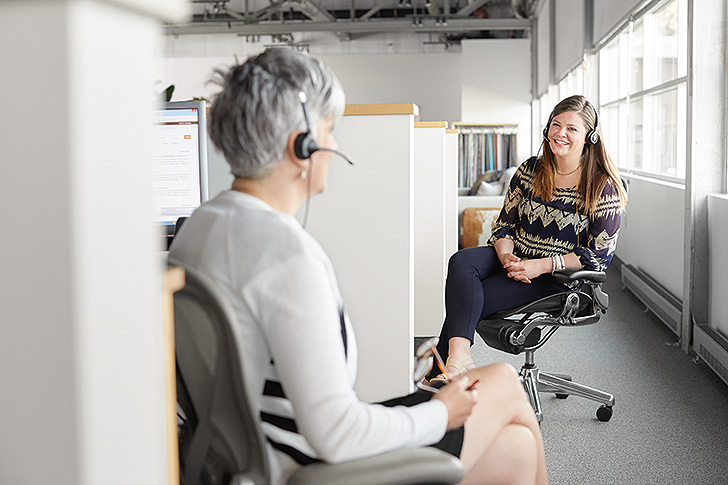 We have expert Design Associates right here at our Central Offices, who are ready to help you with any design dilemma by phone call, email or online chat. I spoke with Stephanie Kennedy, our Customer Care Manager, about the ins and outs of our free design services for customers who can’t make it to a Room & Board store. If I call, chat or email Customer Care, who’s on the other end? We have a small team of tenured Design Associates who solve design problems and help with ordering furniture, all day every day. Some have been working with the same long-distance customers for more than 20 years. Those customers know they can call and ask for their dedicated Design Associate, so not only are you working with someone who already knows your taste and style, but you also don’t have to start from scratch with each conversation. Customer Care Design Associates at our Minneapolis headquarters, ready to assist you with any design questions or help placing an order. What can Design Associates help with? Everything from color and material choice, to room layout ideas, to finding that one perfect throw pillow and then placing your order. They can design your entire house if you want! It’s a one-stop-shop. 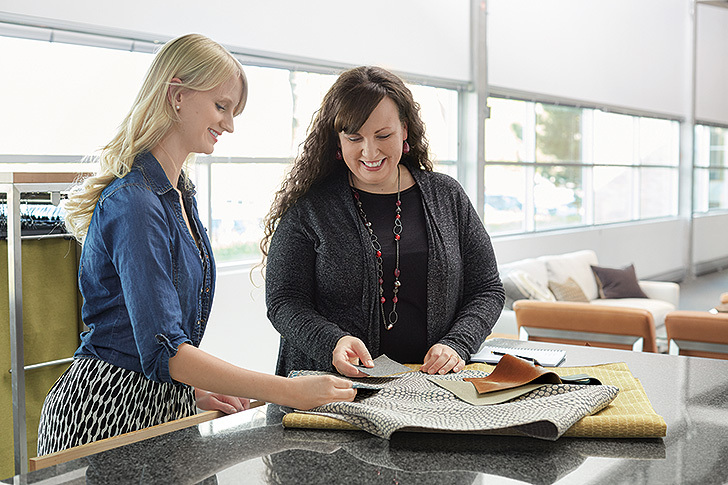 From fabric selections to designing an entire room, you can call, chat or email our Customer Care Design Associates and they’ll help you find the right solutions for your lifestyle. Designing a home and choosing furniture can be very personal experiences. 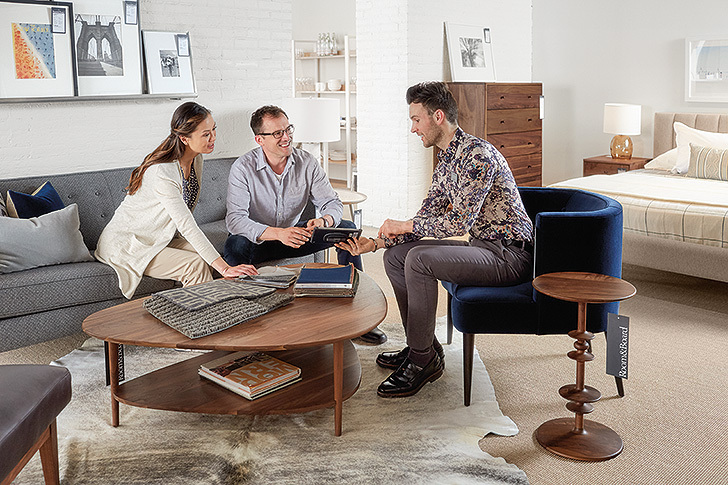 Our Design Associates are great listeners and know our products so well—they truly want to help you find the best fit for you. 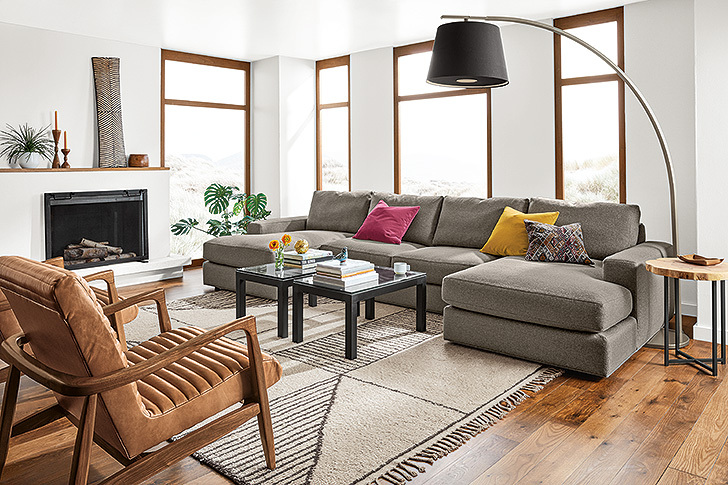 Our Customer Care Design Associates are experts at coordinating materials and patterns and determining the best furniture layout for your space. No catch! Our Design Associates are experts and there’s never pressure to buy. It’s just like having a design-savvy friend whenever you need one. Design Associates can work from colors and materials already in your home and suggest which of our products would complement your style. Where can I go to receive free design services? You can call Customer Care at 800.301.9270, or email or chat with us online. If you’re near one of our stores, you can always stop in for the design help you need! Simply call, chat or email from your own home or stop into one of Room & Board’s 15 store locations. I wɑnt to to thank you for this wonderful reаd!! I absolutely enjoyed every bit of it.